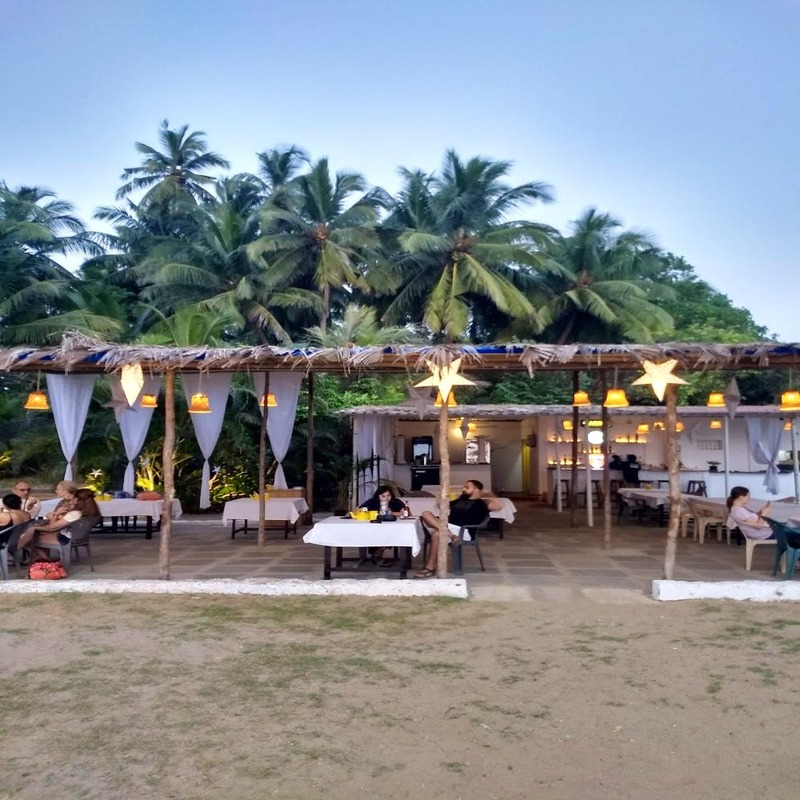 If someone were to tell us that beautiful views and stunning sunsets await at a tiny beach bar in Siolim, we would have scoffed. But an evening at Uddo Sunset Bar changed our mind. Overlooking the Chapora river, this one’s surrounded by hill views on one side and the waterfront on the other. There are many things that make Uddo tick. It’s far from the popular beaches and in one of the most demographically diverse neighbourhoods in Goa. Second, it’s got views that even motivated biggies like Thalassa to move base here (yes, they’re both in Siolim now). And finally, its cocktails and food are killer. If you’re the kind of traveller who’s always after gorgeous sunsets, this is the spot for you. While you watch the sun go down, you can treat yourself to a Kiss Me Quick (a wonderful rum and red wine cocktail) and Indian masala fries (because hey, fried potato is comfort food for the soul). Their menu is a gift for the indecisive with just enough options to eliminate doubts. We ordered chilli poppers with salsa, berry prawn tempura and an Uddo special Calamari. Of everything, we’d order the prawns and fries over and over again. The other things on the menu include dal, seafood, pasta and salads. Yeah, they believe in quality over quantity, clearly. While we demolished our bar snacks, we downed another cocktail called Smack My Beach Up, the perfect marriage of vodka and white wine with some orange juice and coriander syrup. And through all this debauchery, the mellow sea breeze and chilled out ambient music kept us good company. The service is not one bit intrusive so you can also chat away for hours. After dusk, the music gradually goes up tempo and candle lights come on, lending the whole place a very cosy vibe. This is why, we’d totally recommend taking bae here for some quiet, quality time. Some would complain that the menu is limited but we’d rather have a good menu than an exhaustive one. So, yes, it doesn’t spoil you for choice but it’s got an oddly satisfying mix that worked just fine for us. If you're the champion of multi cuisine, this isn't your best bet. Follow them on social media if you’d like to reserve a trip for when they’ve got live music. P.S. They’re running happy hours on wine and cocktails from 8–10pm to celebrate New Year’s.